Hey guys! 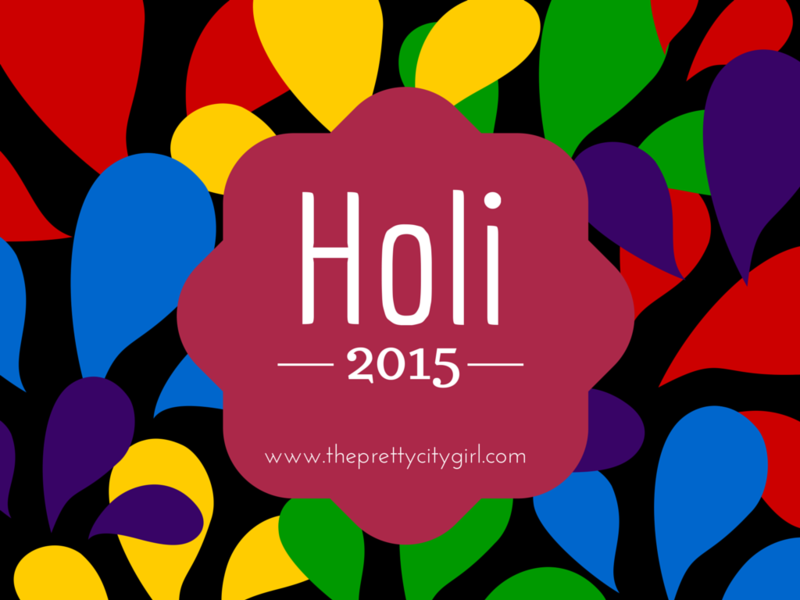 Firstly, let me wish you a very Happy Holi! 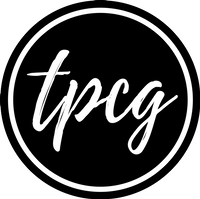 Yesterday evening I was sitting down with my society best friend and so I could not write TPCG. 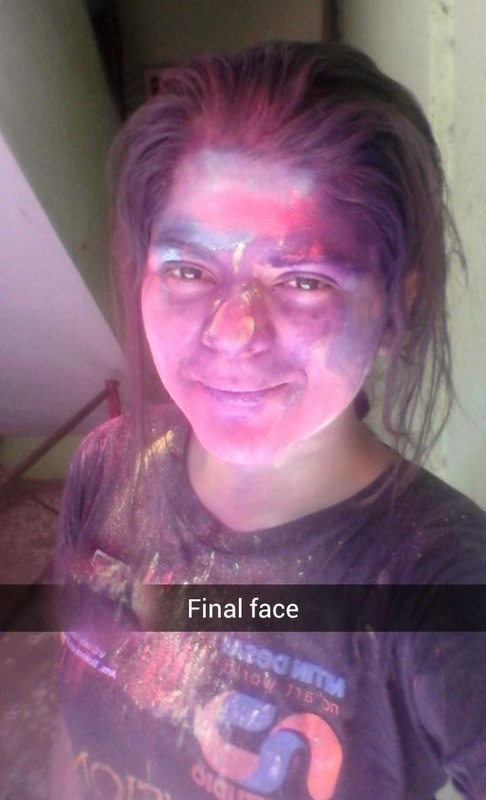 We were even thinking of going for the Holi burn down, but she cancelled it at the 11th hour, and so we didn't go. Eventually, I lost the mood to write too. 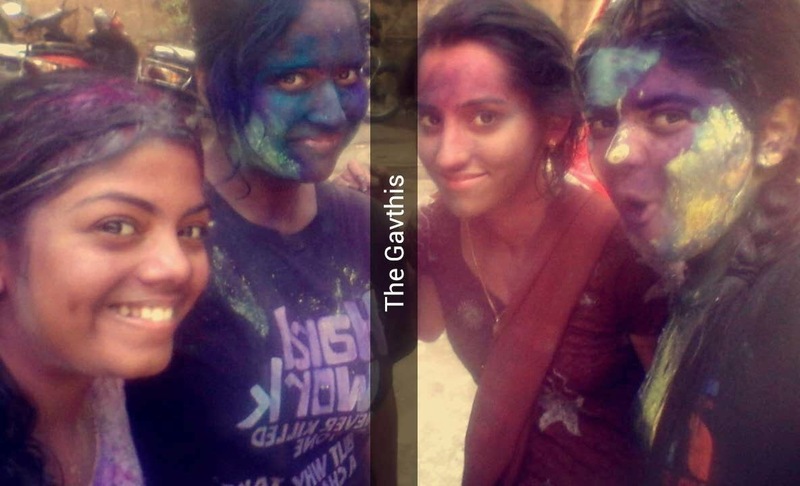 Feels so good to see the colours. 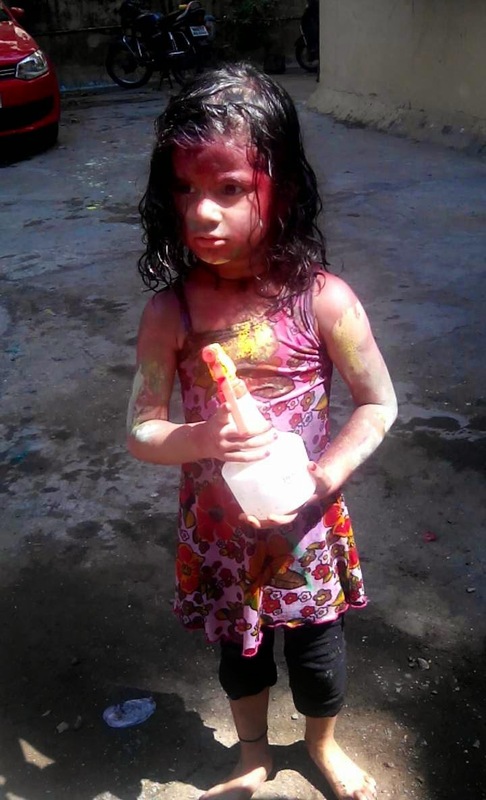 This year's Holi was wonderful just like it is every year. 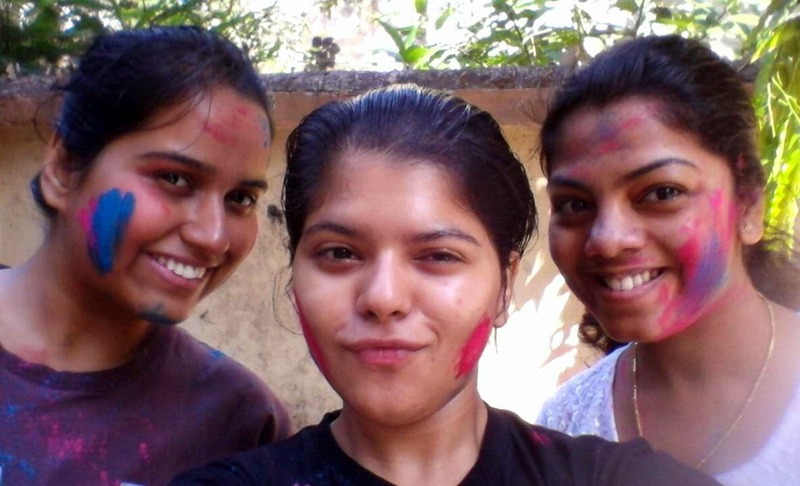 There's no fancy, detailed diary today, but just that I would love to share few pictures from today's crazy Holi play. 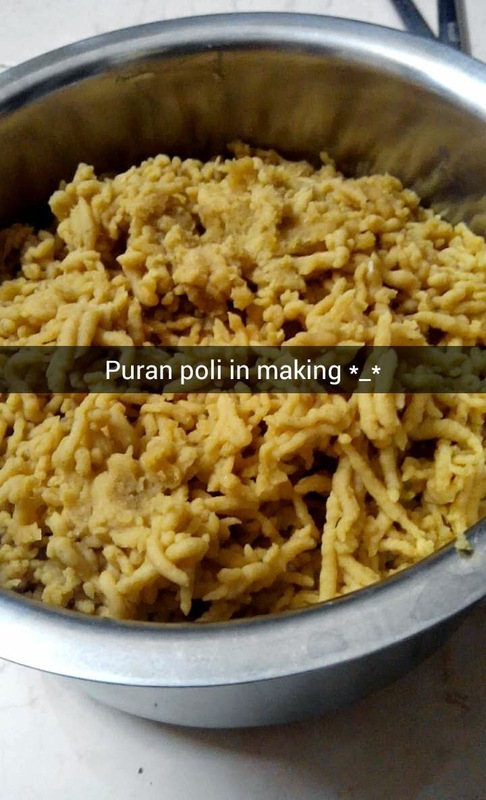 So we Maharashtrians make Puran Poli on the eve of Holi. 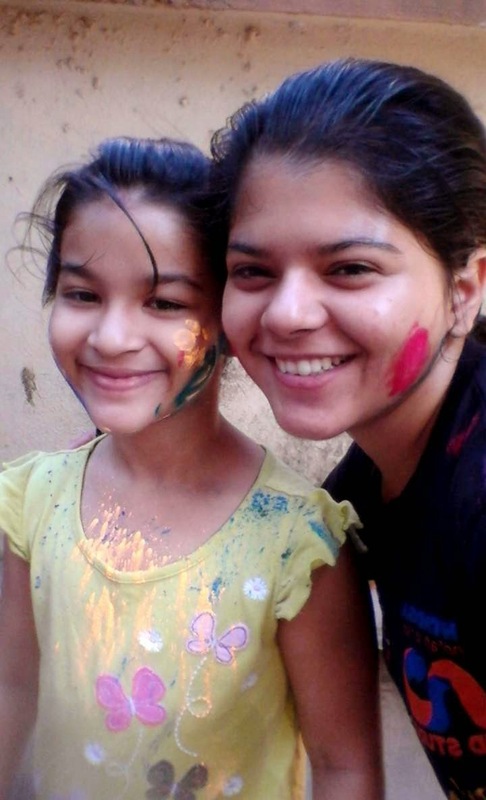 I clicked this picture two days back when my mom was making them. 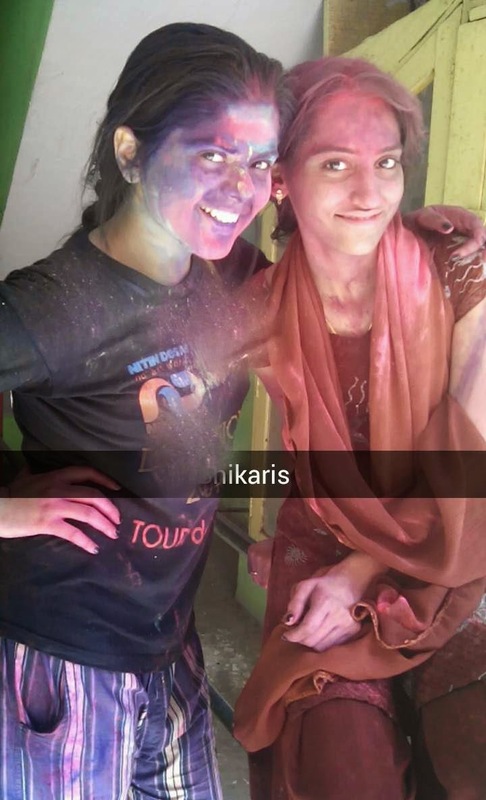 The worst part of Holi festival is that the Polis get over, and then I feel like eating more and more of them; they're simply yummy. The above picture is just one of the starting steps of making those. 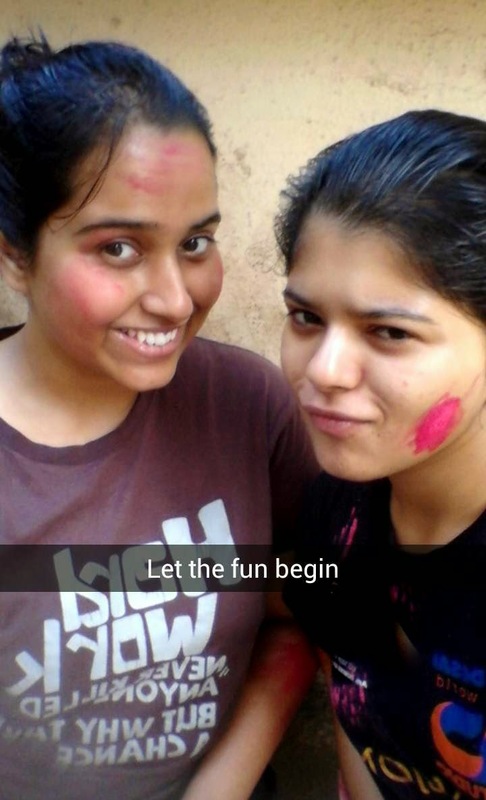 So these were our faces before we actually started playing. 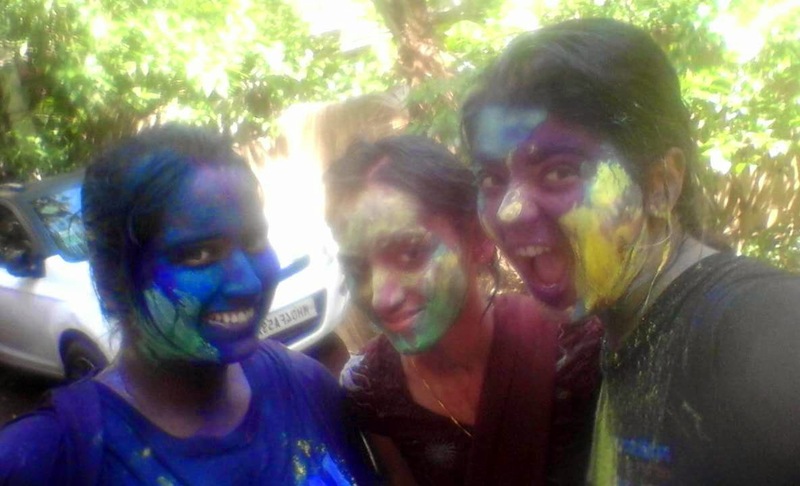 And this is how we looked at the end! Crazy, right?